The Coburg Football Club today announces the departure of one of our favourite Sons and currently our longest serving player, Nathan Blair. 23-year-old Blair informed the club that he would be furthering his growing career and education in the building industry whilst playing local football in 2019. 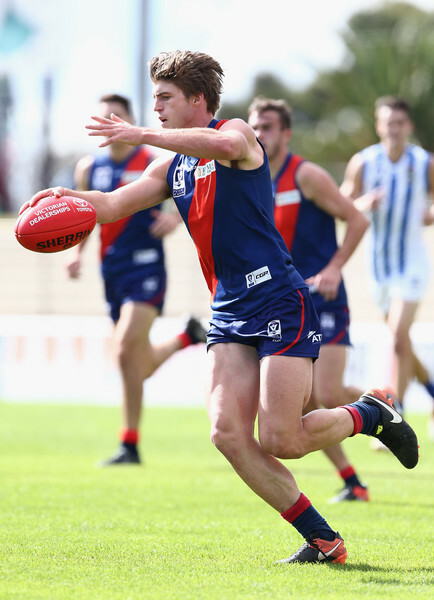 Originally from Romsey, Blair joined Coburg at the end of 2013 as only one of the graduating Calder Cannons from that year’s crop. He would manage all 18 games in his debut 2014 season, and was recognised as the clubs best first year player, often having to fill the role as an undersized key defender. His second season would see him awarded the Jeff Angwin Award for the clubs most courageous player, and backed it up with a solid 2016 season. Heading into the 2017 season he would be the only player from the 2014 season (It’s first stand alone season since 2000) on the clubs list & was rewarded with elevation to the leadership group. As a result, his leadership was also recognised by being awarded the 2017 Nick Carnell Leadership Award. Blair retires with 84 games and two goals to his name and throughout his time at the club, Blair has been widely acknowledged and admired for his team first approach, leadership and care for the club, while his parents & family have been fantastic supporters of the club, helping with a wide range of activities and events. The Blair Family were also recognised for their contribution to the club in 2015 when they were awarded the McGann Family Award. The club would like to wish Nathan and partner Gabby, along with parents Mary-Anne & Ray all the very best for the future and thank them for their contribution and service to the club over the years. Bright future ahead for the Coburg Football Club with a further four player re-signings.